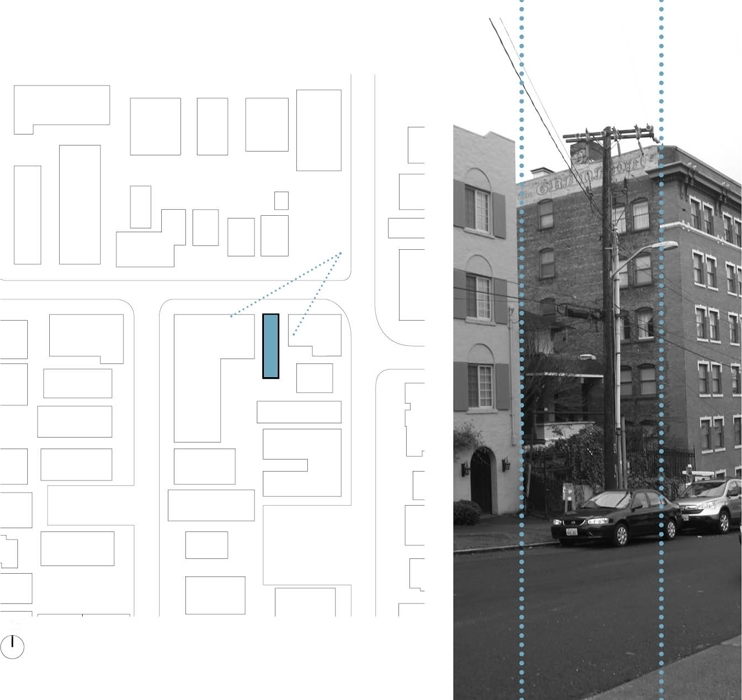 The site, at 35 feet wide, is sandwiched between two existing early 20th century apartment buildings. The half-block building to the west has a large rear courtyard that provides an unusual amount of interior block open space. The project, a seven story mid-rise tower, spans between the street and this interior open space. The building provides two street facing or courtyard facing dwelling units per floor. By taking advantage of building code provisions, the building uses a single exit stair to serve these two units. The units become full floor with terrace space in response to additional setback requirements for the top two stories.